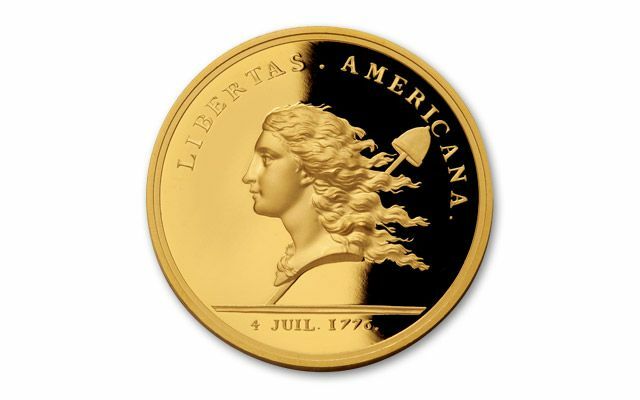 The Libertas Americana is the most famous medal in U.S. History. Designed by Benjamin Franklin and struck by the Paris Mint in 1783, it celebrates our victory in the American Revolution. 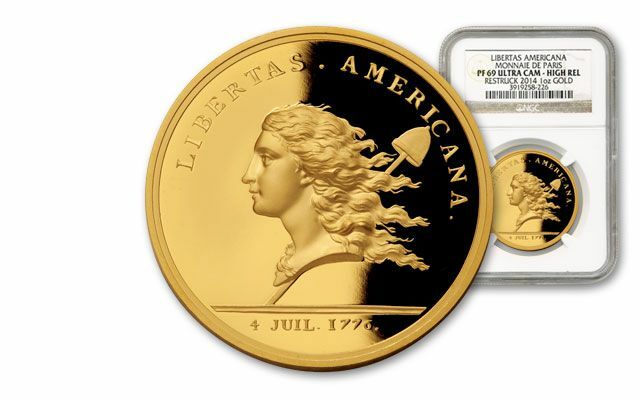 The Libertas Americana is one ounce of 99.9% gold. 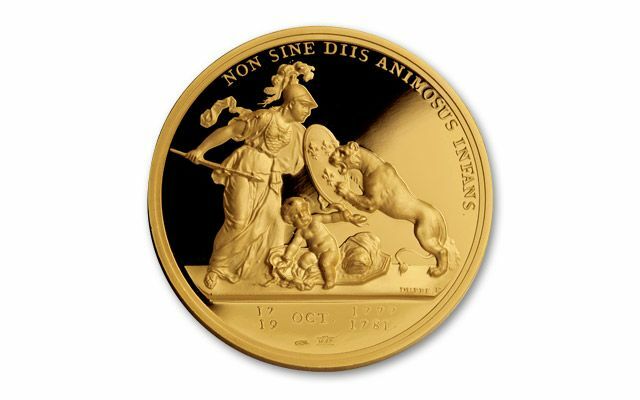 In order to create this remarkable striking, the artisans at the Paris Mint retrieved the original 1783 dies, from which these special proofs were exactly engraved. 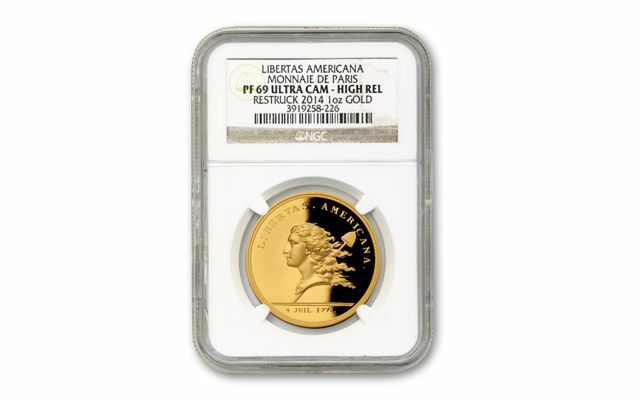 Each Libertas Americana Proof is certified and graded Proof-69 (PF69) Ultra Cameo (UC) High Relief by Numismatic Guaranty Corporation (NGC) and sealed in a protective acrylic holder to secure its provenance forever.